The Department of Public Works has come under fire again for splurging millions on ministerial houses after revealing that about R730m was going to be spent on renovations of ministerial houses in the current financial year. The Sunday Times reports that the amount will also cover upgrades at ministers' offices within the Parliamentary precinct in Cape Town, while R5m will be spent on carpets at the Union Buildings in Pretoria. 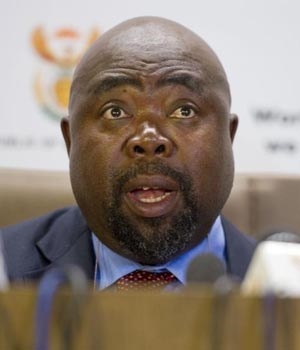 The paper reported that Public Works Minister Thulas Nxesi revealed that R1m was going to be spent on a bathroom and kitchen upgrade at one ministerial house, while R29m was set aside for a guardhouse, and another R29m for gates and a doghouse. Nxesi revealed all of these details in a written reply to Parliament on Friday. One ministerial house was due to get a new guardhouse, electric fence and security cameras, all worth R4.3m. Public Works told Parliament earlier this year that R45m was spent on maintenance alone for ministerial houses in Cape Town and Pretoria in the 2017/18 financial year, Fin24 reported. The same department made headlines last year after it emerged that it had spent about R500 000 on braai and entertainment areas at four ministerial houses, as well as other items that were seen as extravagances, at the taxpayers' cost. His department revealed to the Standing Committee on Public Accounts (Scopa) in August last year that it had 148 of what they called "prestige houses", in which ministers were accommodated. It was further revealed that 67 of these houses were in Cape Town, 80 in Pretoria and one in Durban. When the houses of the chief justice and his deputy were included, the number came to 150.